Northamptonshire businesses are reportedly selling better overseas. 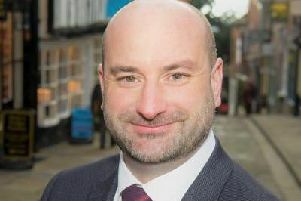 East Lindsey District Council has agreed to borrow up to £20m which could be invested in projects outside the area in a bid to generate income and plug a significant gap in funding. The Conservative-controlled authority will borrow the cash over a 50-year period from the Public Works Loans Board. It is understood the council is drawing up a list of potential investment projects. If successful, the investments will raise additional revenue and stave off potential cuts to services and job losses. The move comes as more reductions in Government funding leave authorities across the UK facing a grim battle to balance the books. ELDC has already slashed millions of pounds from its budget but must save millions more. Coun Richard Fry, ELDC’s Portfolio Holder for Finance, urged cross-party support for the scheme at a recent full meeting of the council. He said other councils were considering similar ventures and warned it would be ‘folly’ to ignore funding issues. Coun Fry maintained the only options were cuts or what he described as ‘huge and undesirable increases’ in council tax. Coun Fry said: “With the loss of government grants, we are facing an entirely predictable multi-million pound deficit between the period 2019/20 and 2022/23. We will not be the first, nor will we be the last, council to do this. “To ignore this and hope it’ll go away would be folly. Coun Ros Jackson (Lab) gave cautious support to the venture, but urged a close monitoring process. Coun Jackson said: “It’s very important, when looking at this property fund, that we have good oversight of them. “Whilst I am very happy with our current officers’ attitude and capacity, I think in future we are going to have to look at how much capacity we have in future for oversight of these funds. Coun Sarah Dodds (Lab) added it was important ELDC continued to press for a fairer funding deal from Whitehall. Coun Dodds said: “We must not let the Government off the hook. We have committed to be challenging, lobbying and campaigning for the share of government funding that is rightfully ours in Lincolnshire. Coun Richard Avison (Cons) outlined some details of the loan package at a public meeting in Horncastle. He revealed the process would be monitored by a scrutiny committee. Mr Barker questioned why ELDC hadn’t held a public consultation. He also made mention of events in 2008 when ELDC was one of the UK authorities caught out by the collapse of the Icelandic banks. ELDC invested around £4m in Iceland to secure a better than average return. By 2013, the council had recovered all but £970,000. Last December, neighbouring West Lindsey District Council attracted national criticism after investing more than £2m in a hotel in West Yorkshire. An ELDC spokesman insisted no decision had been made on any investments. He said: “At the moment we have not yet undertaken any expenditure to acquire suitable assets and as such have yet to actually borrow any money.